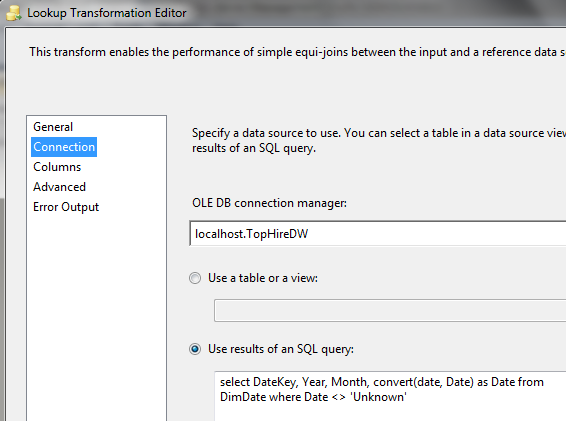 In Microsoft BI, when we do a slowly changing dimension type 2, we instinctively do SCD Wizard. The problem with SCD Wizard is the performance. 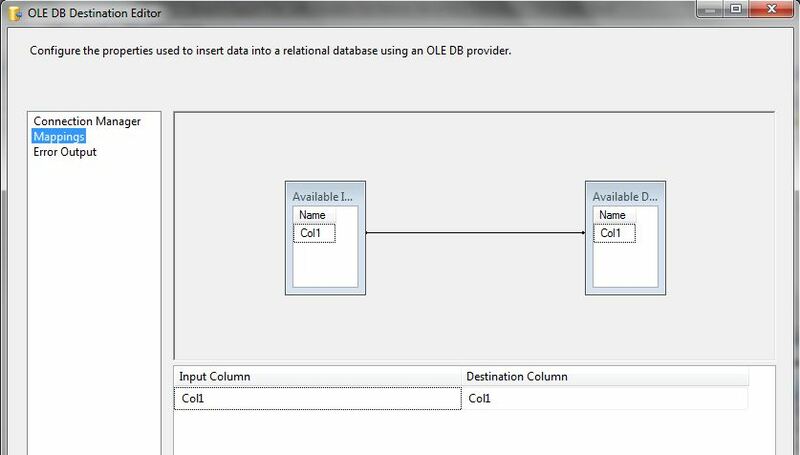 For each source row coming to the SCD box, SSIS does a lookup on the target dimension table to find out if the row already exists or not. That is a crazy idea. 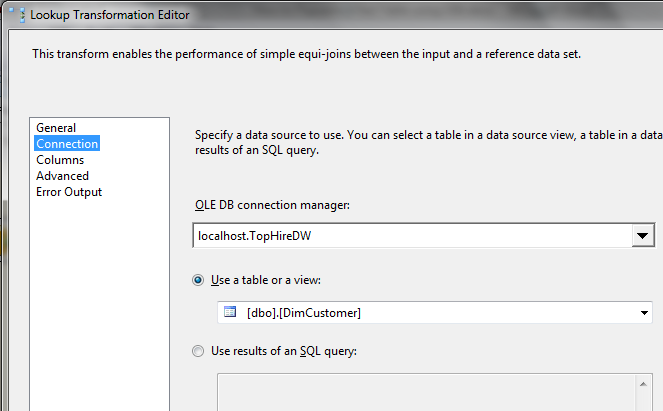 And SSIS also update the target dimension table on row by row basis. That is also a crazy idea. If your dimension is 1000 rows and the source data is 1000 rows, the SCD takes a few minutes. But if your dimension is 500k and the source data is 500k, it’s 5-6 hours performance. The whole idea is fundamentally flawed. 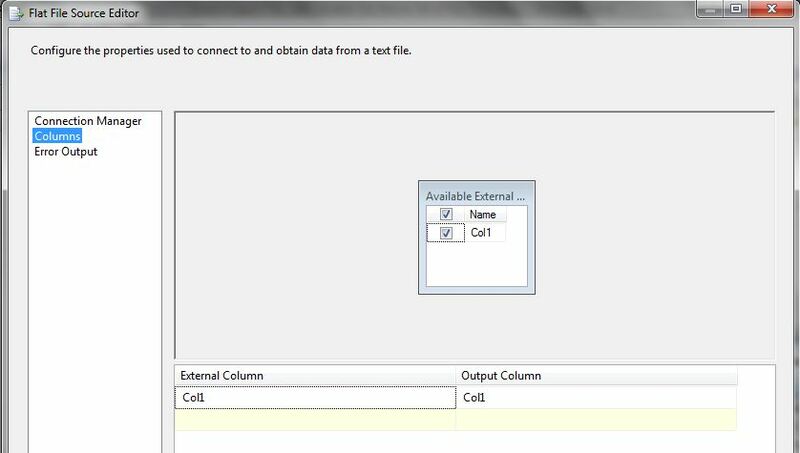 On the welcome screen of the SSIS box, there should be a warning: Warning, do not use SSIS SCD Wizard if your dimension is above 1000 rows. So, if your dimension is 1m rows, what should you do? Do it on set basis, not row by row basis. 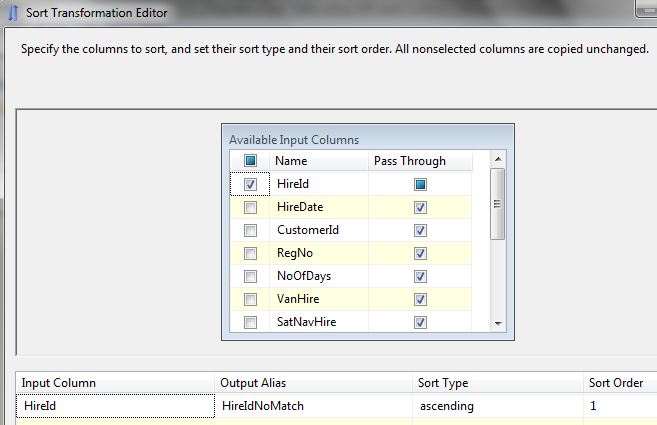 Filter the incoming source rows to the changed rows. 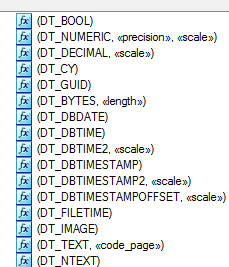 Don’t everything type 2, but only necessary columns. Index the dimension table on the seek columns. Group the updates to the target dimension table. 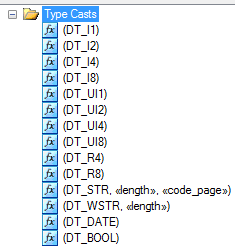 Archive unused rows in the dimension table. Stage the source table. 1m rows (S). Identity changed rows on the staging table. 50k rows (C). Put the C rows on a new staging table. 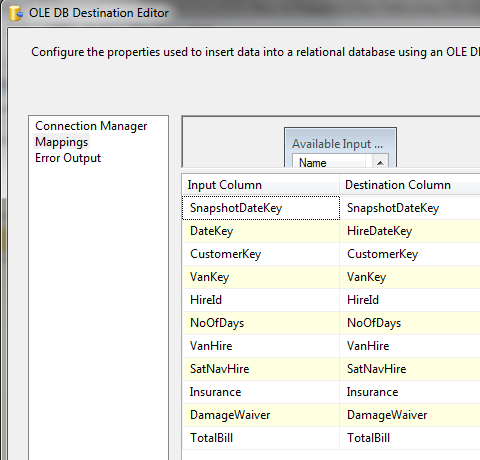 Identify which C rows already exist on the dimension table by comparing the business key. Say 40k rows exist (E) and 10k rows don’t exist (D). 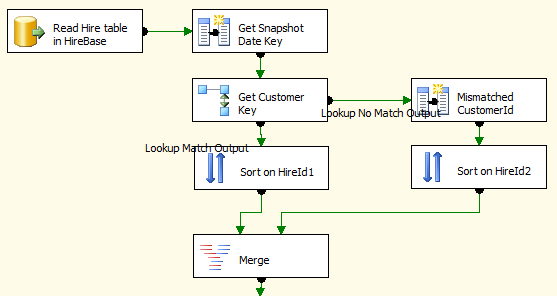 Out of the 40k E rows, identify which rows has changed attributes. Say there are 12k rows (CA). 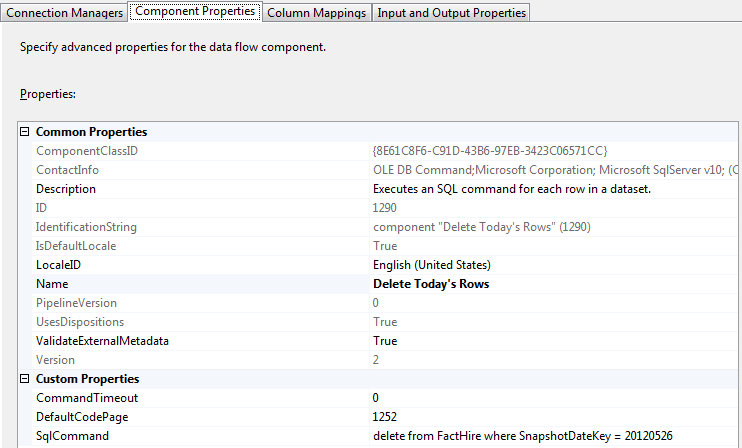 Update dimension table: expire the 12k CA rows (set Expiry Date = CT, IsActive = N). Insert 22k row (10k D + 12k CA) into dimension table (in 1 go, not in 2 goes1). Expiry Date = 9999, IsActive = Y. D rows: Effective Date = 0000. 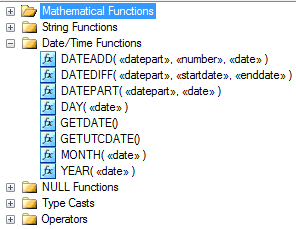 CA rows: Effective Date = CT. 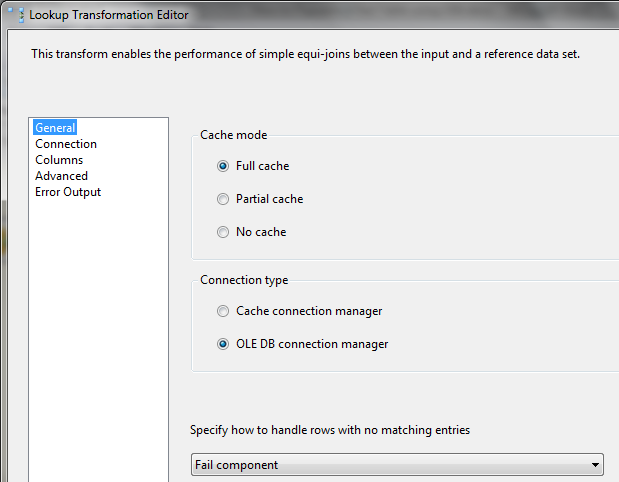 In step 2, enable fast load, do not put any constraint on the staging table. Step 3 is done by hashing or checksum. 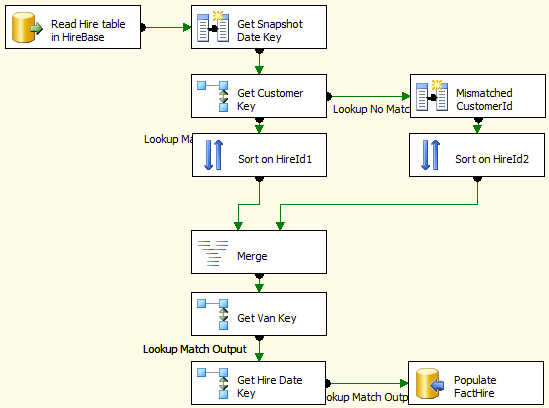 Staging table C on step 4 can be used by other work flow, especially the Fact Load. 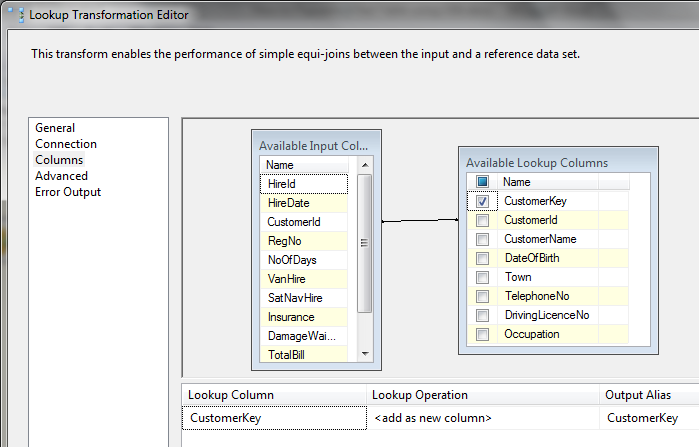 To support step 5 and 7, index the dimension table on the Natural Key column. 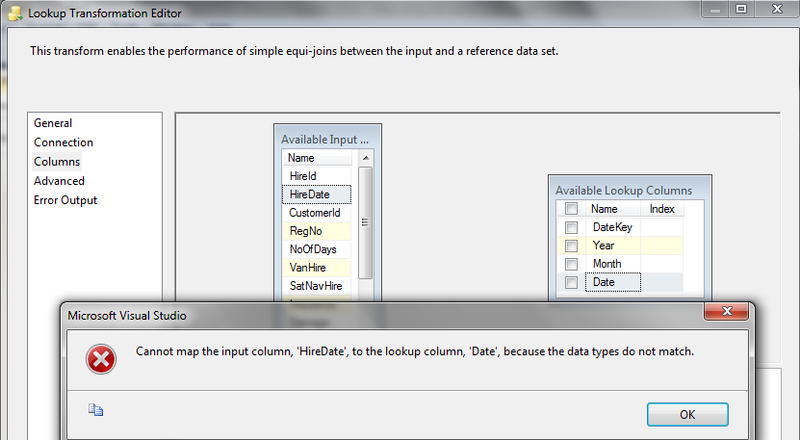 To support step 6, index the dim table on the type 2 columns to be compared. 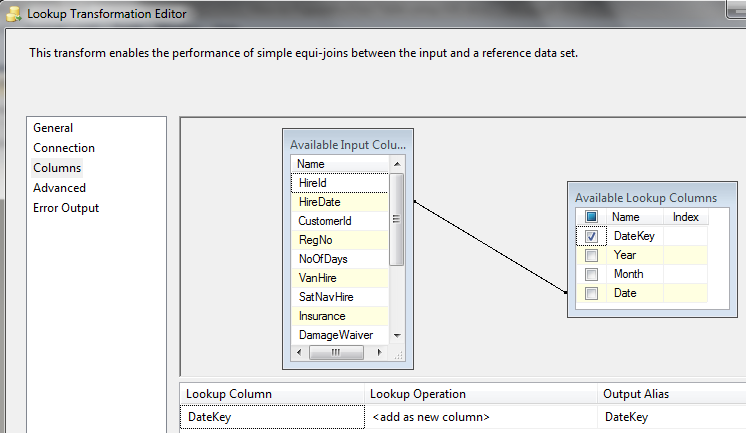 Do the compare in the order of the indexed columns. 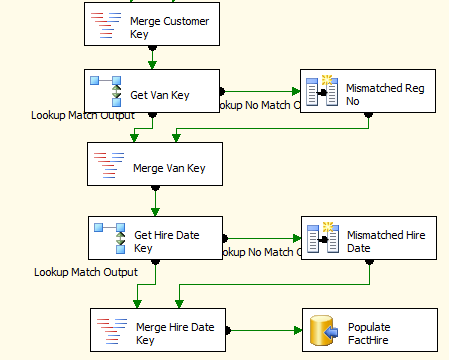 We can use the Merge command to do step 7 & 8, but we need to do it twice. 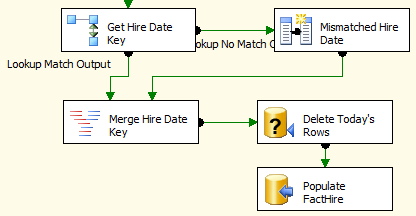 So the old Upsert (update + insert) works as efficiently as Merge. Probably more efficient as we don’t do delete. 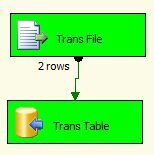 In ETL we often need to import files. But these files usually don’t have a fixed file name. They are variable. The file names change every day, because they have date on their file names. For example, yesterday it was called trans_20110627. Today it is called trans_20110628. Tomorrow it will be called trans_20110629. How do we import them? We set the file name at run time. 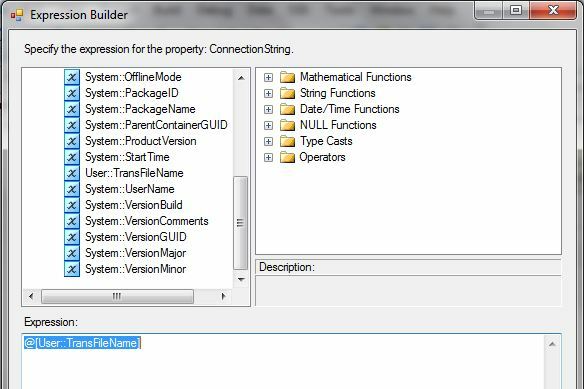 How do we set the file name at run time? 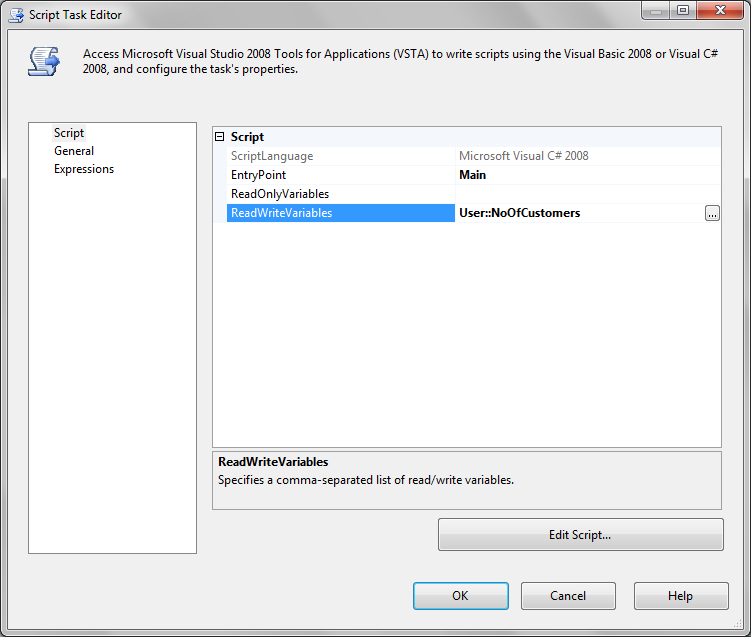 Using a script task, at run time we set the value of a variable. This variable is used as the file name of the file. This might be one of the “oldest tricks in the book”, but still, I found that many people don’t know it. So it’s probably worth writing a post about it. For simplicity in the above script I just put a fixed file name. But in the real project the logic is for example: find today’s file, find the latest file, etc, which is for another blog post. 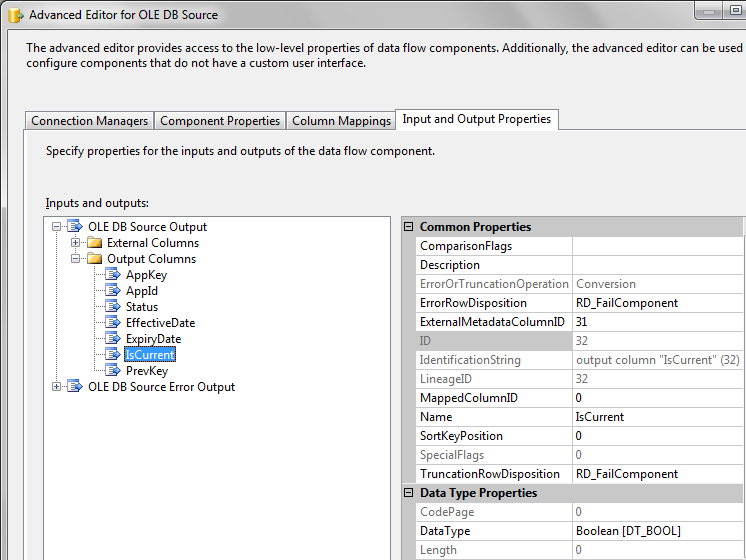 I’ll write that “find the latest file logic in using c# script” post in the next few days and put the link here. Save the ScriptMain.cs window and close it. Click OK to come out of the Script Task Editor. 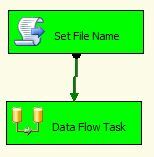 Double click the Data Flow Task to edit it. 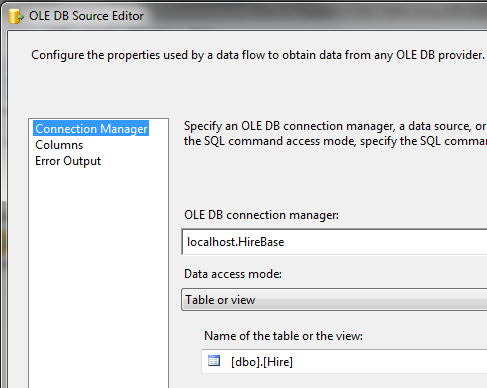 Create Flat File Source and OLE DB Destination. 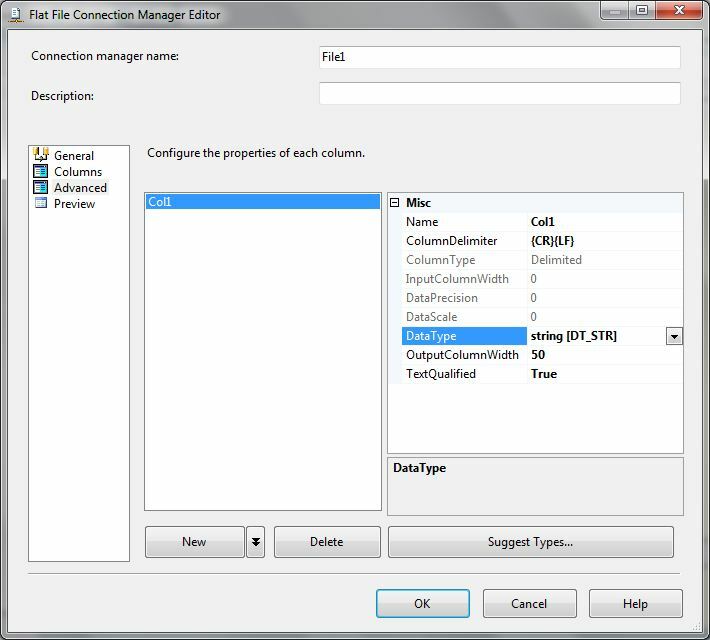 Click OK to close the Flat File Source Editor. 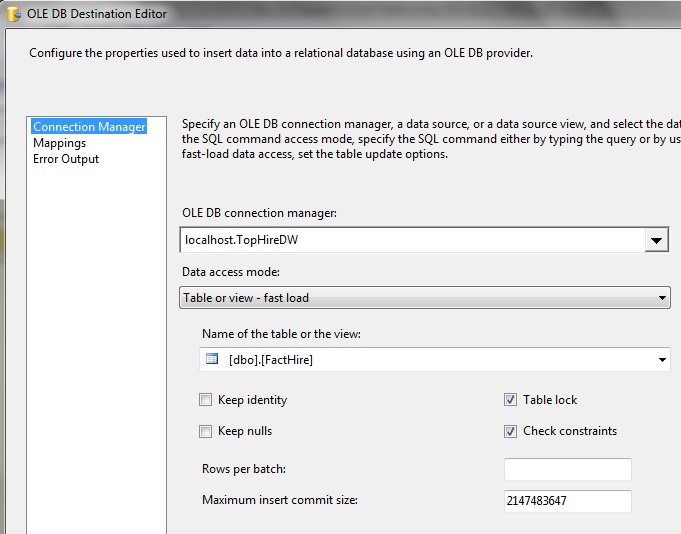 Click OK to close the OLE DB Destination Editor and go back to the Data Flow window. 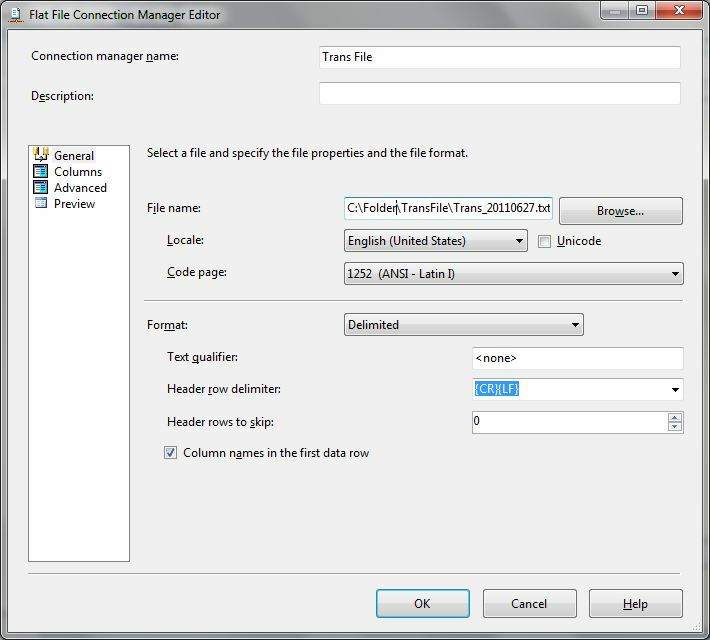 Now we are going to use the TransFileName variable as the file name of the file. 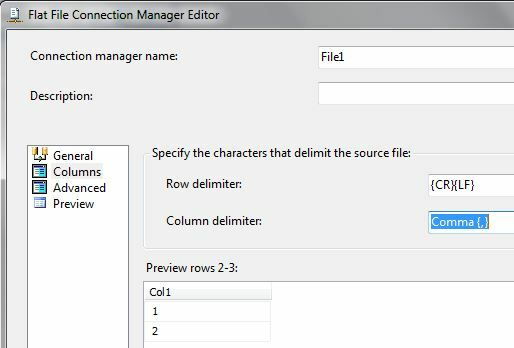 We do a right click on the TransFile on the Connection Manager and select Properties. Click OK to close the Expression Builder. Click OK again to close the Property Expressions Editor. This can also be used to when we need to export to a file which we only know the name at run time. It works the same way.